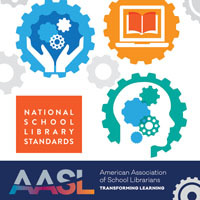 Creating a culture for reading is a major part of what it means to be a school librarian. It is also an ongoing effort. There will never come a time when we stop encouraging students to read. One of the best ways to engage students with books is by making reading a social experience. 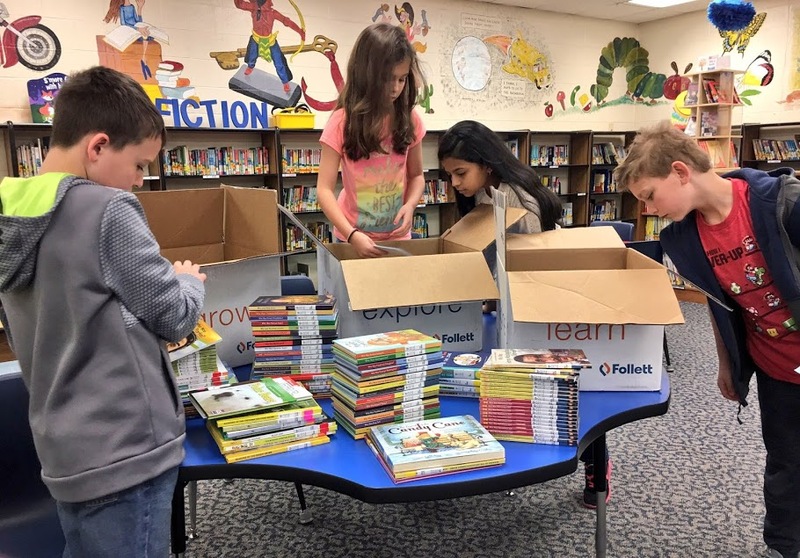 If you are looking to increase students’ interaction with books and promote the joys of literacy to a school/community-wide audience, the One School, One Book (OSOB) model may be your answer. 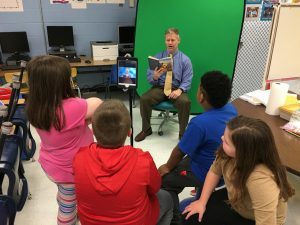 OSOB is a program designed to create a reading community within the school, and allow teachers, parents, and students to have conversations about what they are reading. With OSOB books will take center stage in the discussions and actions of your students. 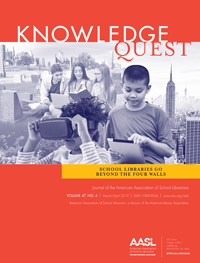 Students will come to find literature as captivating as movies, television shows, games, and music. OSOB is usually a month-long program where the whole school community follows a shared reading schedule for a specific book. The more people you can involve the better! This includes cafeteria workers, janitorial staff, office employees, principals, and the school bus drivers. 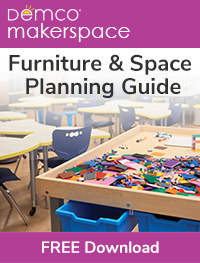 In the classroom, there could be daily events and projects that reinforce the program and get everyone excited about the book. There are a number of events that the school can implement to promote the reading experience: plays, dances, family nights, trivia, and contests. Getting the community and families involved is a top priority. Communicate your goals and plans with teachers, principals, and the superintendent. Purchase copies of the book for each homeroom or students and staff members with funds from grants or the library budget. You might want to consider acquiring electronic copies of the book. Get your public library involved by asking them to purchase additional print copies of the book for people to borrow. My first OSOB program included three schools in the district—8 grade levels! We used The One and Only Ivan by Katherine Applegate for our first OSOB program. Ivan has been a popular OSOB choice because it appeals to both boys and girls and reaches students from elementary school to high school. Plus, The One and Only Ivan features a number of animal welfare-related issues, which leads to many interesting discussions and activities. I sparked students’ interest in the program with a mystery book. Holding the wrapped book I explained to students that soon the entire school would be reading the story inside. 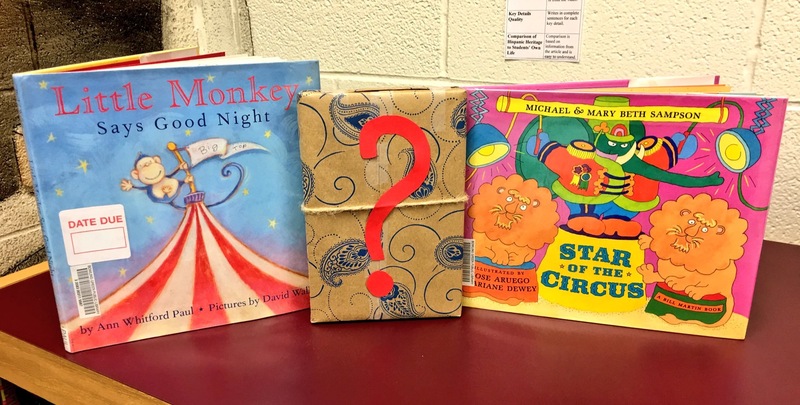 I then read aloud Star of the Circus by Michael and Mary Beth Sampson to get students thinking about a circus. Students colored circus animals that represented characters from The One and Only Ivan. Students’ imaginations ran wild with how each character might act and what would happen to them in the book. At the end of the lesson I revealed to students the cover of the mystery book. They were elated to learn they would be reading a story about a gorilla named Ivan. Students created their own library book covers similar to The One and Only Ivan. Students learned to draw their own gorillas. The library invited service dogs to visit students. Trainers discussed how to properly care for pets. We partnered with the Family Resource Center for an animal shelter supply drive! To promote this year’s OSOB program, students created digital promotions in Adobe Spark. This year’s OSOB was led by the Student Leadership Technology Program (STLP), which included 13 first, second, and third graders. 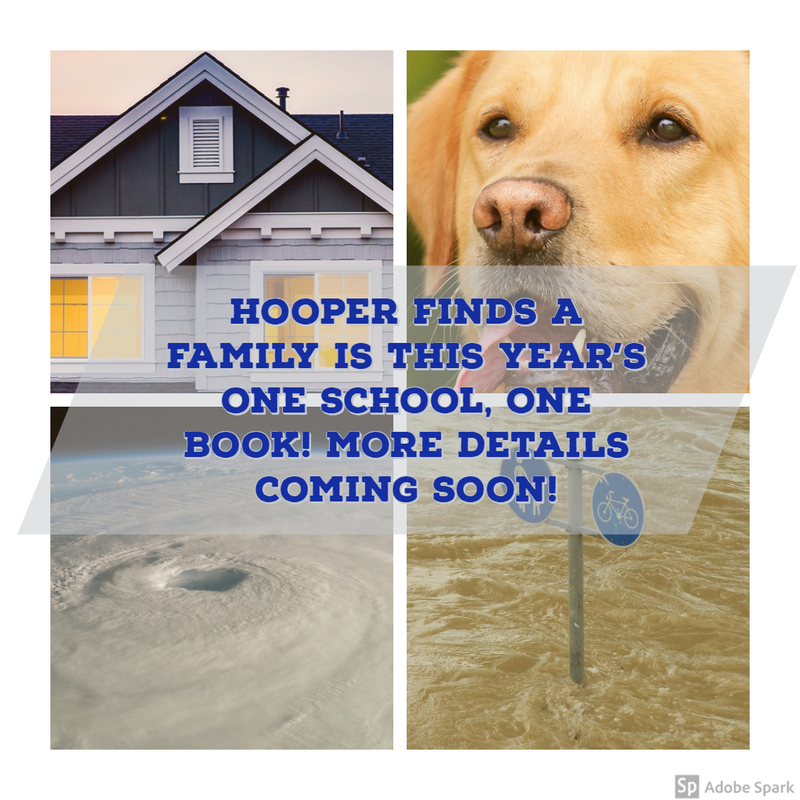 After browsing titles online and reading literature reviews from Booklist and School Library Journal, students finally decided on Hooper Finds a Family by Jane Paley for the OSOB. 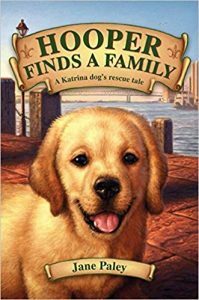 In this story, a puppy tells of the terrifying force of Hurricane Katrina, his trials in the shelter, and being the new dog on the block in a city far from home. Students contacted the public library to see if the book was available in an electronic format. We learned that the public library subscribes to Hoopla, a web platform that provides a wide range of digital content free of charge. Students asked teachers whether they would prefer to read aloud the book from a print or digital format. Seven teachers agreed to display the Hoopla e-book on their projector screen for the class to read. STLP members then submitted a written request to the school’s principal for funds to purchase 22 print copies of Hooper Finds a Family. 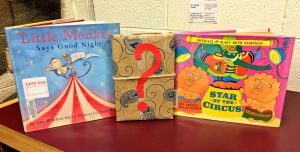 To help teachers access the e-book and utilize its many features, students created a Hoopla tutorial. 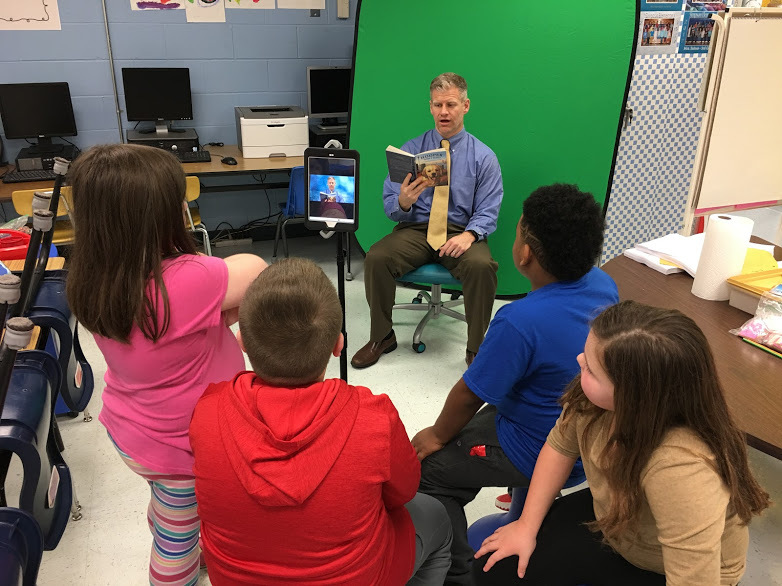 Students thought it would be fun to video record teachers and administrators reading selected chapters in front of the library’s green screen. To adhere to copyright regulations, students sent an e-mail to the book’s author asking permission to conduct these recordings. The message explained that the school purchased several copies of the book and that recordings would only be shared with students and staff via the library’s Google Drive account. In less than 24 hours, author Jane Paley responded to our request with a resounding yes! 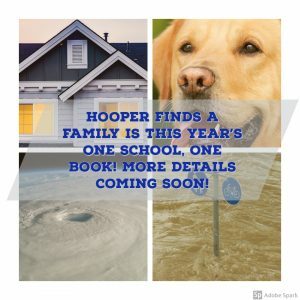 She even asked for the school’s physical address so she could send us photographs, postcards, and trading cards of her dog Hooper along with a personalized letter and an inscribed copy of Hooper Finds a Family! Hooper Finds a Family highlights some very important issues. For example, the book is set during Hurricane Katrina, which displaced more than a million people in the Gulf Coast region (The Data Center). In 2018, storms like Hurricane Florence and Hurricane Michael caused severe damage. Students wanted to know more about the science behind these tropical storms. 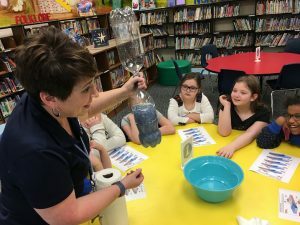 The school district’s maker lab coordinator, Jennifer Sheffield, facilitated a hands-on learning experience about hurricanes. Students used two 2-liter soda bottles connected at the neck to demonstrate a visual model of the power of the cyclonic action that occurs within a hurricane. When the water was still, it bubbled downward slowly through the neck of the top bottle to the bottom one. But when it was swirled around it quickly, the water flowed downward forcefully along the outside of the neck while the displaced air moved quickly up through the center of the vortex, mimicking the action of a hurricane. Students applied what they learned from the STEM activity along with some research of their own to create an infographic about hurricanes. 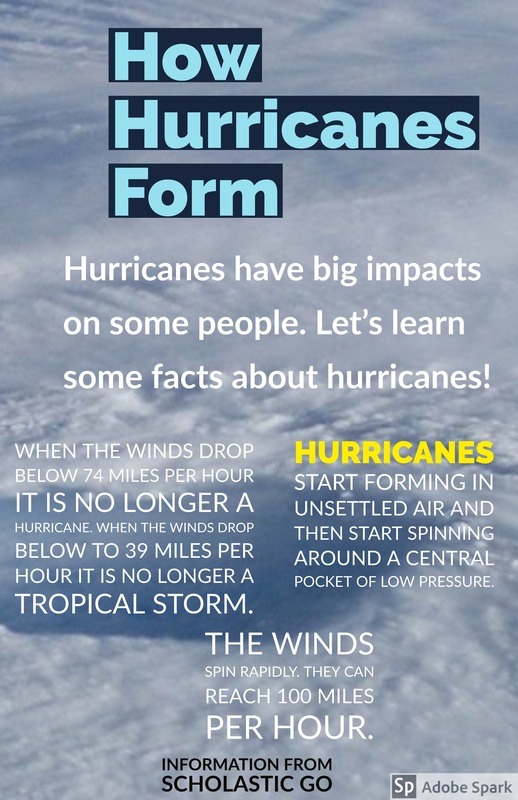 Copies of the infographic were distributed to students in the school, which led to a heightened concern for those impacted by tropical storms. After receiving approval from the school board, students launched a campaign to raise funds for American Red Cross’s hurricane relief efforts. Students created a book commercial using public domain images in the Do Ink green screen app. Students answered trivia questions for the chance to keep a Hooper plush doll in their classroom for a week. 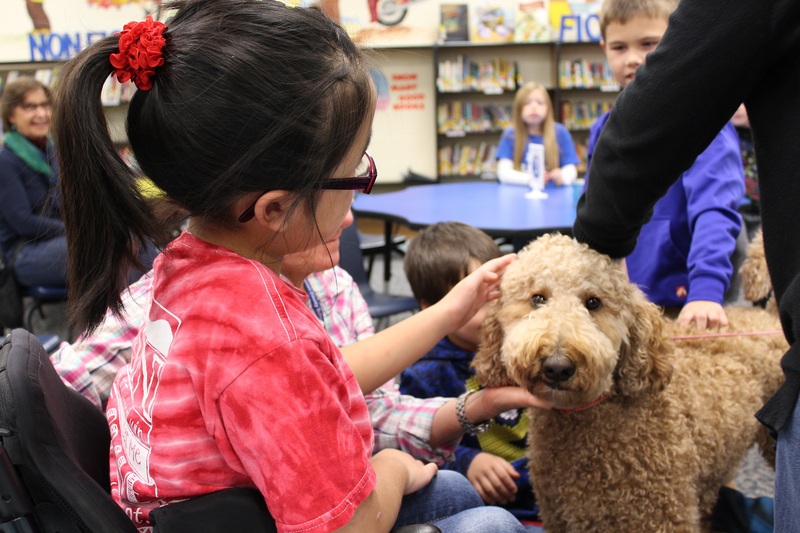 A reading dog visited the school several times with his trainer who read aloud picture books to students. Students shared their favorite parts of the book. For a whole month everyone was reading! No matter how you run your OSOB program, students are sure to get excited about reading. Students will talk about the OSOB the entire year. 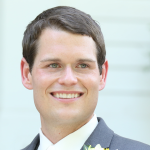 You will be presented with numerous opportunities to direct students to other great reads. Ultimately, finding ways to empower students in the library is what will develop that love of reading we are all looking for. Plyer, Allison. “Facts for Features: Katrina Impact.” The Data Center. August 26, 2016. Accessed February 28, 2019. https://www.datacenterresearch.org/data-resources/katrina/facts-for-impact/. I have heard about the one book one school initiative and have heard the many benefits for students and staff. This article will be very helpful when presenting to my school administration on why this initiative would benefit our students.